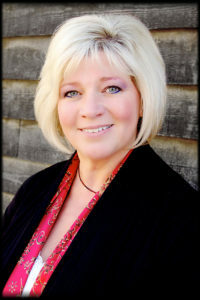 Cindy H. Petty is a conductor and teacher recognized for her “outstanding precision, musical vision, warm motivation, engaging stage presence and a unique ability to connect with musicians and audiences of all ages”. As a professional conductor, violinist and dedicated music educator in the public and private school systems for over 20 years, Ms. Petty honed her skills through study with Kurt Masur, Riccardo Chailly and Marin Alsop after completing degrees in both education and conducting from the University of Utah. Cindy currently serves as the Music Director and Conductor of the Oregon Arts Orchestra (OR), Artistic Director and Conductor of the East Valley Youth Symphony (AZ), Associate Conductor of the Chandler Symphony Orchestra (AZ), Associate Conductor of the Women’s Orchestra of Arizona, (AZ), Principal Guest Conductor for the Sapporo Philharmonic Orchestra (Japan), and Conductor Emeritus of the Jewish Community Orchestra (OR). As a violinist, she currently performs with the Newport Symphony (OR), Music Nova (AZ) and the Chandler Symphony Orchestra (AZ). In addition, Cindy produces concerts and festivals worldwide for Music Celebrations International (AZ) as the Managing Director of Concert Productions including festivals in Rome, Salzburg, Paris, Dublin, Prague, Washington D.C., Chicago, New York, and Los Angeles. Ms. Petty is sought after as a clinician and adjudicator for State and National Music Festivals, All-State Orchestras and Youth Honor Orchestras nationwide. In 2007, she was knighted by the Royal Rosarians of Oregon, under the banner of the rose “Artistry” for her extensive contributions to the community through music. Previously Ms. Petty has served as Music Director and Conductor of the Portland Youth Philharmonic Conservatory Orchestra; Oregon Pro Arte Chamber Orchestra; Oregon Pro ArteYouth Chamber Orchestra; Pro Arte Conservatory Strings; Granite, Jordan and Lincoln Youth Symphonies; the Portland Ensign Choir and Orchestra and the Portland Adventist String Orchestra. She has been honored to be the guest conductor for the Newport Symphony, Chandler Symphony Orchestra, Coachella Valley Symphony, Rose City Chamber Orchestra, Washington DC Mormon Orchestra, 15 All-States Orchestras, 26 Regional Honor Orchestras,and multiple other orchestras throughout the United States, Canada, Japan and Europe with performances in Kitara (Japan), Dvořák Hall (Prague), Haydnsaal (Austria), Mozarteum (Austria), The Kennedy Center (Washington D.C.), Walt Disney Concert Hall (CA), Carnegie Hall (NY), and Orchestra Hall in Chicago among others.